Various explanations have been put forward as to why the Keynesian Revolution in economics in the 1930s and 1940s took place. Some of these point to the temporal relevance of John Maynard Keynes's The General Theory of Employment, Interest, and Money (1936), appearing, as it did, just a handful of years after the onset of the Great Depression, whilst others highlight the importance of more anecdotal evidence, such as Keynes’s close relations with the Cambridge ‘Circus’, a group of able, young Cambridge economists who dissected and assisted Keynes in developing crucial ideas in the years leading up to the General Theory. However, no systematic effort has been made to bring together these and other factors to examine them from a sociology of science perspective. This book fills this gap by taking its cue from a well-established tradition of work from history of science studies devoted to identifying the intellectual, technical, institutional, psychological and financial factors which help to explain why certain research schools are successful and why others fail. 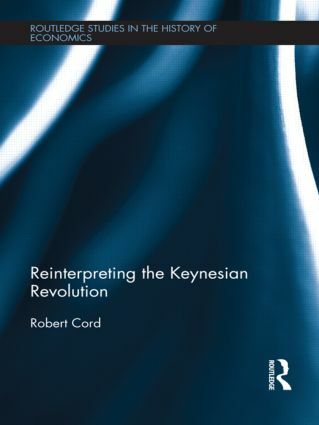 This approach, it turns out, provides a coherent account of why the revolution in macroeconomics was ‘Keynesian’ and why, on a related note, Keynes was able to see off contemporary competitor theorists, notably Friedrich von Hayek and Michal Kalecki. Robert Cord holds a Doctorate in Philosophy from the Department of History and Philosophy of Science at St Edmund’s College, Cambridge University.